SAN FRANCISCO—Two sister inns in the Nob Hill neighborhood here recently completed major renovations: White Swan Inn and Petite Auberge. 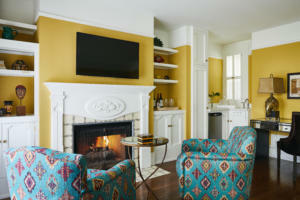 Each offering 26 guestrooms, White Swan Inn is inspired by the intimate hotels of London with dark wood paneling, bold fabrics and British pop-art inspired prints; while Petite Auberge’s whimsical, welcoming style is imbued with the spirit of a French cottage with eclectic global accents. Following a year and a half of design upgrades and renovation, guests will experience new furnishings all throughout the properties, completely redone bathrooms, new outdoor spaces and an entirely redesigned Petite Suite at Petite Auberge. 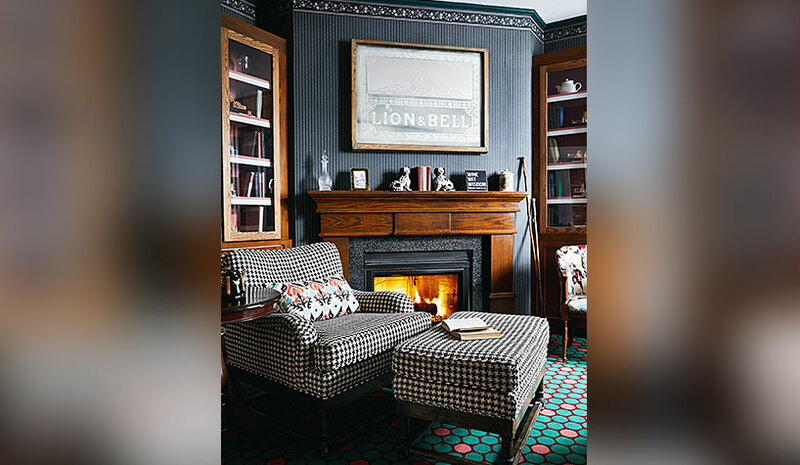 The playful parlor at White Swan Inn mixes traditional and contemporary design with dark wood paneling, butterfly- and houndstooth-patterned Christian Lacroix armchairs, statement polka-dot carpets, British pop-art inspired wall hangings and a colorful teapot collection. The new outdoor spaces at both properties extend off the breakfast areas for alfresco living and dining rooms, with calla lilies, creeping figs, boxwood and Japanese aucuba (at White Swan Inn), as well as star jasmine, foxtail agave and Daphne odora lit by string lights (at Petite Auberge). White Swan Inn’s back deck offers an additional space for relaxation with a water feature and edible wild strawberry, mint, nasturtium and loquat plants. The new 350-sq.-ft. Petite Suite at Petite Auberge has a private entrance, deck with city views and privacy gardens of tall lilac and bamboo, fireplace, soaking tub, wet bar and furnishings handpicked by designer Oren Bronstein.